After the announcement of the new Lamborghini SUV Urus at Palazzo Chigi, Stephan Winkelmann, president and CEO of the Lambo, he met with 1,200 employees to "make them - according to a note of the car - witnesses and participants of the sea change that Lamborghini will face in the coming years. " Meanwhile workers have approved the agreement recently signed by the unions, which applies to the German model of industrial relations. 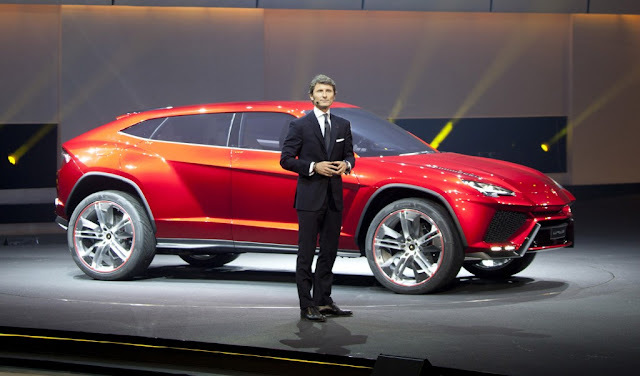 "Today - said Winkelmann - is a historic day for Lamborghini. There are two victories: to have a third model and produce it in Sant'Agata. Thanks to you all, you were fantastic, this great achievement is also thanks to you." "We have strongly fought for production here in Sant'Agata is not only for reasons related to the Made in Italy, in the territory, to the passion, excellence of our craftsmanship, but also because we have the opportunity to achieve stability, which It goes beyond the super sports that are in our hearts and made this great Company.